Custom printed hang tags on premium card stock. Choose from UV, gloss, matte, or uncoated finish. 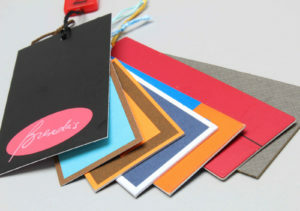 Embossing, die cut, folded hang tags, and rounded corners available. Hole drilling, choice of string and attachments.